Image Size: 6" x 9" Framed Size: 11" x 14" One of the most impressive sights on any railway, I believe is this view of Mounts Cathedral and Stephen, as seen from the valley floor, approximately three miles east of Field, B.C. 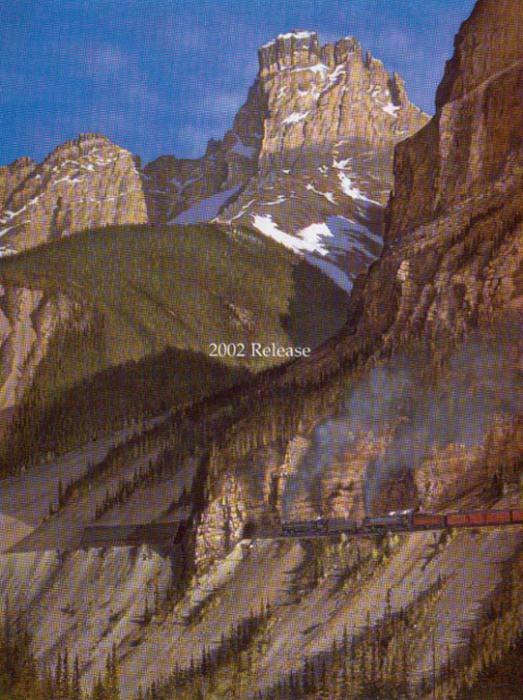 This is the Canadian Pacific Railway's " Big Hill", eight miles of 2.2% grade leading to the crest of the continental divide. Ahead are the famed Spiral Tunnels which the train must negotiate on the winding route out of the valley. In steam days, one or more locomotives were added to all eastbound trains at Field.